655 views, seriously? You chose this moment to make me popular again?! Well thank you for choosing this moment to show it. FYI, that was a sarcastic thank you. Hahahahaha, let’s say you got what you wished for!! has your Miss picked a date for your punishment yet? This was not my idea! The weekend I think but whenever she decides to spring it on me really. Yeah to be fair that would have been horrendous! Yes I suppose every fan of you has made his best to access your blog again and again. Hoping to see at least one pic of your breasts with 655 needles in them. I subscribe to this petition! your small breasts with 655 needles in them must be an impressive sight! And it will show how good at Tetris your Miss is! You have and always will be popular, you just forgot silly girl. Hmm, it’s different, I’ll try and explain how when I write about it. Glad you will have physical proof that we want more of you. 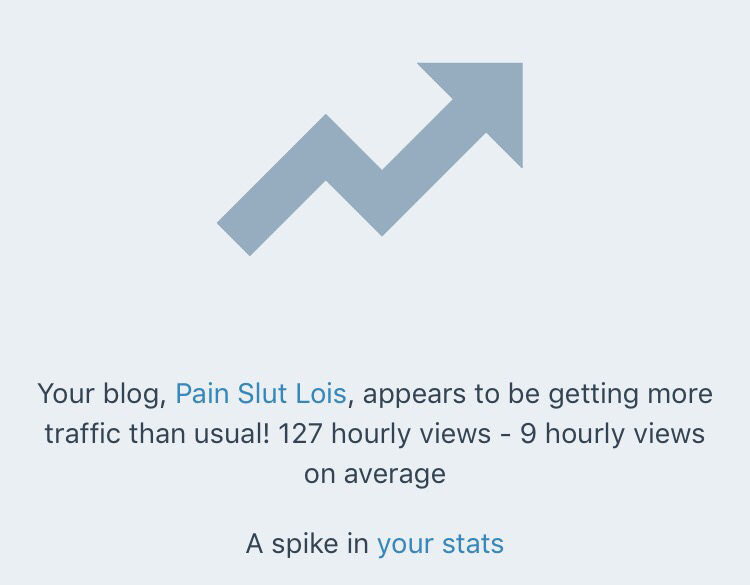 Your blog really is fun.